Founded by a group of Belgian scientists driven to create cleaning product that was less harmful to the environment, Ecover developed their first phosphate-free formula in 1979. The first box of washing powder hit supermarket shelves in Belgium in 1989 and they quickly grew, launching in the UK just two years later. Today, Ecover is a global brand recognised in countries all over the world as the market leader in sustainable cleaning products. A values driven organisation like ours, they are also a fellow B Corporation and are well ahead of the competition when it comes to fighting plastic pollution, having developed their first 100% recyclable plastic bottles in 2011. 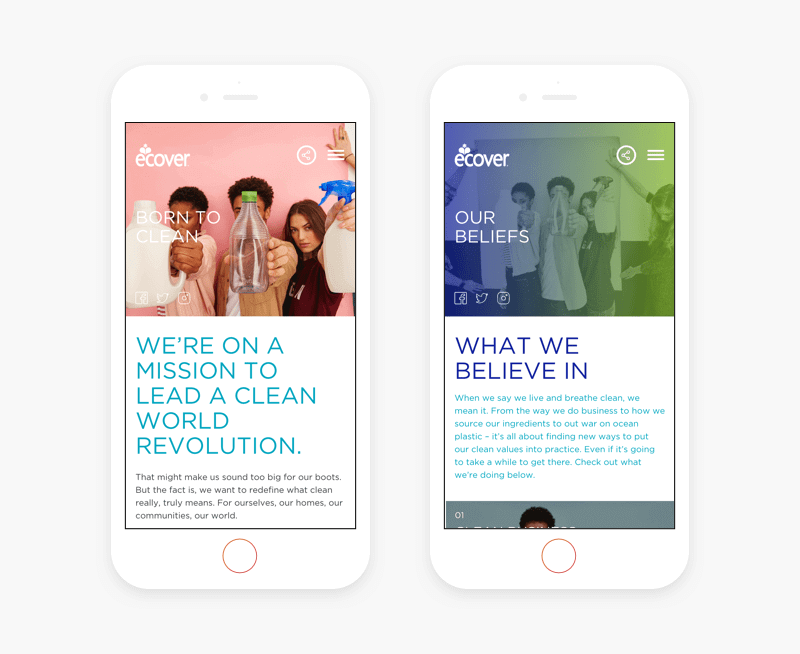 In 2017, we worked with Ecover to create a whole new website to celebrate the launch of their Ocean Bottle, which is made with 50% recycled plastic collected from the ocean. The Ocean Plastic website shares the story of Ecover’s mission to reduce ocean plastic pollution. All of Ecover’s bottles contain recycled plastic and they aim to make every bottle from 100% recycled plastic by 2020. Our relationship with Ecover goes back to 2014, when we initially created a new website that was rolled out in 10 countries, to support their global growth and better appeal to their expanding audience. Since then, we’ve developed a strong collaborative partnership with the team, making continuous improvements to the site and creating custom designed pages and newsletters for competitions, product launches and special campaigns. The new site needed to move away from the focus on products, shifting to support Ecover as a leading influential voice on sustainable living. 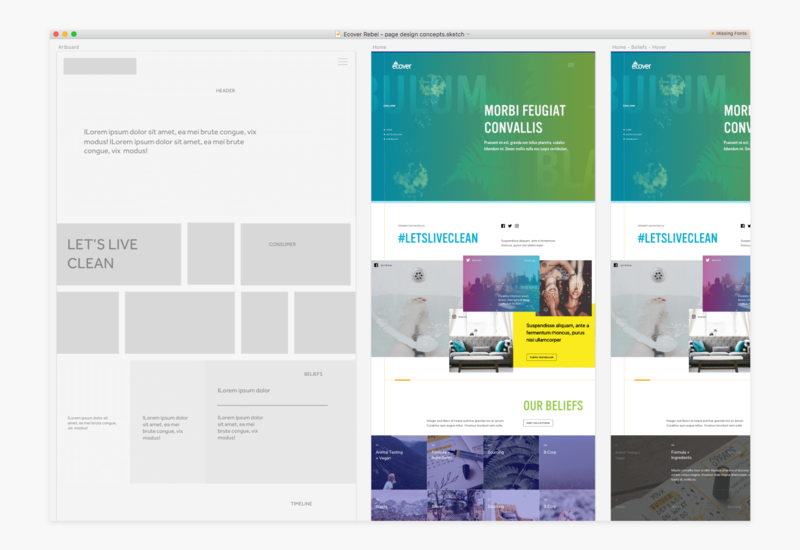 Following extensive discovery sessions, during which we mapped out the key requirements of all the different audiences and the main messages that Ecover wanted to convey, we began the atomic design process. Working closely with the Ecover team, we created and adjusted designs as an ongoing process, ensuring that the final agreed designs are easy to navigate and clearly communicate the key messages. To make the homepage more engaging we added striking imagery, creating custom animations to highlight the main messaging, which is around Ecover’s mission. We added the social icons to the main image at the top of the landing page, encouraging people to join and share their clean world revolution. Ecover’s values now take centre stage, listed on the homepage with dynamic imagery that activates and updates on hover, encouraging visitors to learn more about what Ecover is doing to put their values into practice. To further highlight the purpose behind the product, we created a Mission page, with more information about their products and how they hope to inspire people to not just clean, but to live more sustainably. The new Beliefs and Commitments pages build on this, with the Commitments page highlighting what Ecover is currently doing in the fight against plastic pollution. 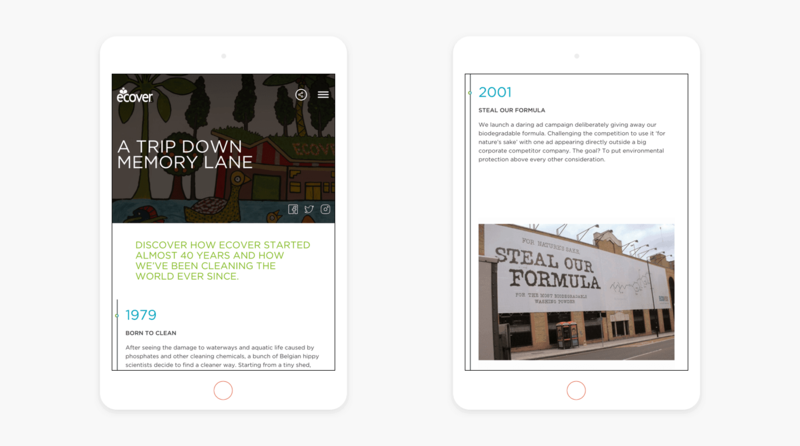 Finally, instead of an ‘About Us’ page, we created a custom designed timeline showing the evolution of Ecover from 1979 to the present day. Since the launch of the new website, the number of users has more than doubled, going from 9,000, to almost 20,000 at the end of May 2018. The number of page views has also increased by more than 20,000, to just under 50,000 and the new calls to action – ‘buy now’, newsletter signup and social sharing buttons – have led to much more interaction, increasing from 2,124 to 5,000 by the end of May. 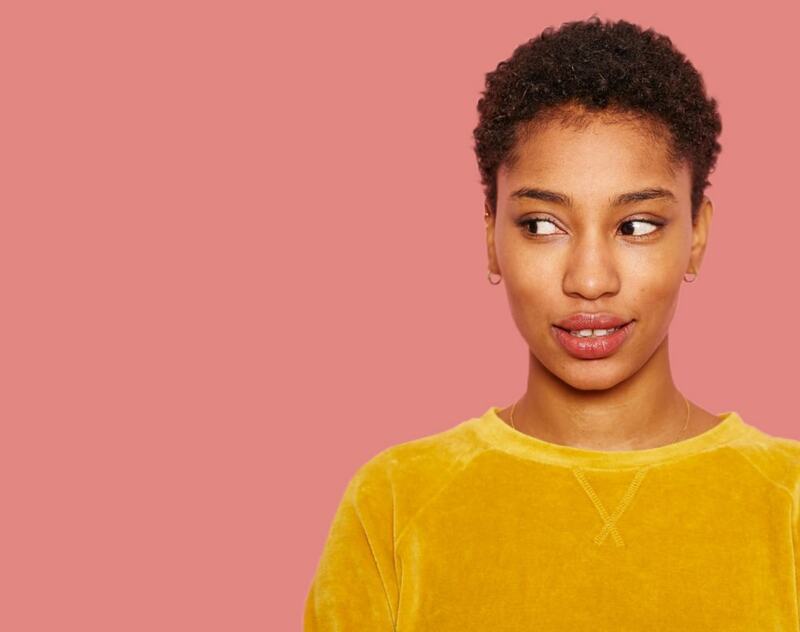 The result is a website that stands out from the crowd, matching the Ecover brand and helping them to amplify their voice in the sustainability arena. We’re proud to be an ongoing collaborator in their mission to create a world keen to live more cleanly. Our partnership has resulted in some amazing projects. 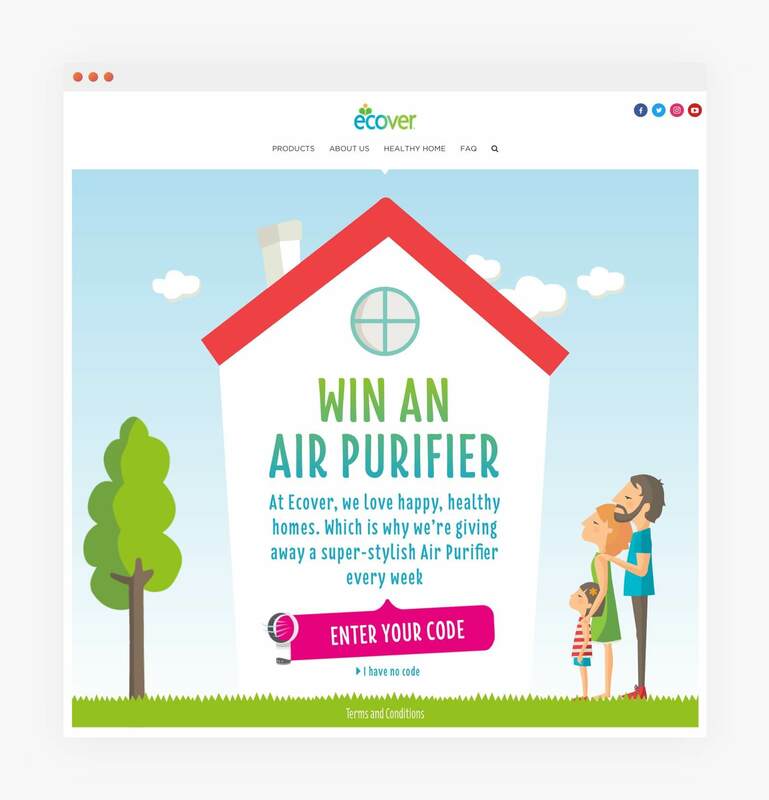 We created a online campaign celebrating a collaboration between Ecover and Annabel Karmel, the UK’s No. children’s cookery author, encouraging parents to cook healthy food with their kids. 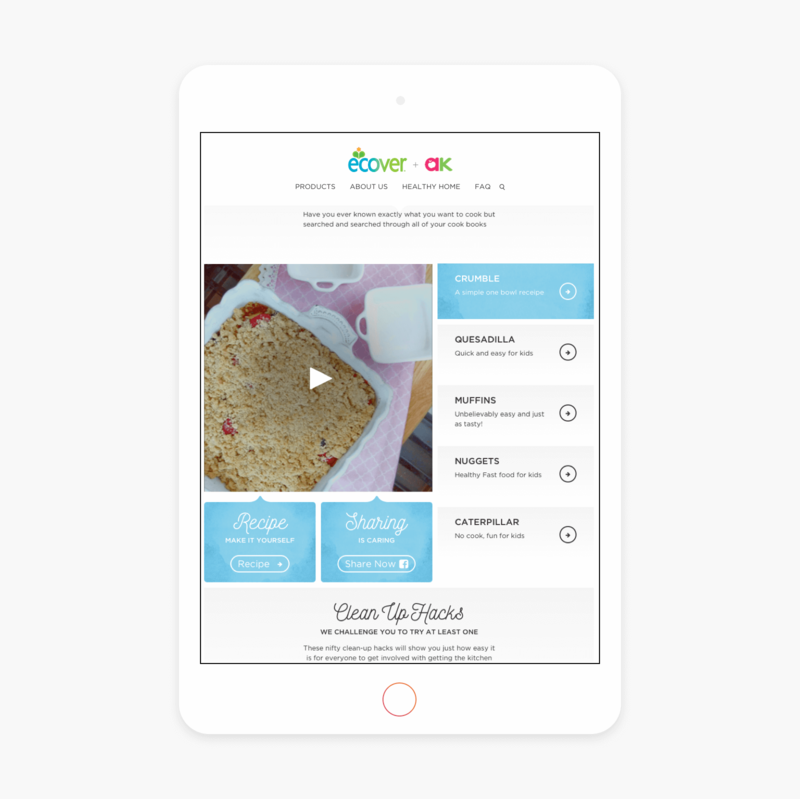 The custom designed page featured a video carousel showing the various different Annabel Karmel recipes, was optimised for easy social sharing and linked to a ‘Clean Up Hacks’ page created for the campaign, highlighting the effectiveness of Ecover products. We designed an online campaign for this competition, which complimented the design of the in-store marketing while also linking in with the recently redesigned online identity. All the entries for this campaign were captured within the WordPress, CMS, giving the Ecover team quick and easy access to the results. 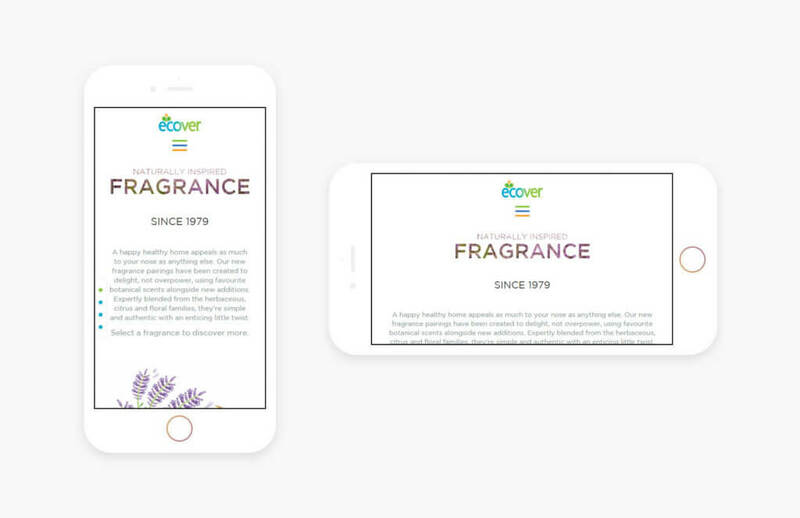 We created a campaign page for Ecover’s new laundry range, which features fragrance parings inspired by nature. Created using some of Ecover’s existing scents and some new additions, the fragrance pairings in this range were designed to evoke positive emotions, as well as ensuring effective cleaning power. To highlight the thought behind the new fragrances, we created interactive custom animations on the main page. 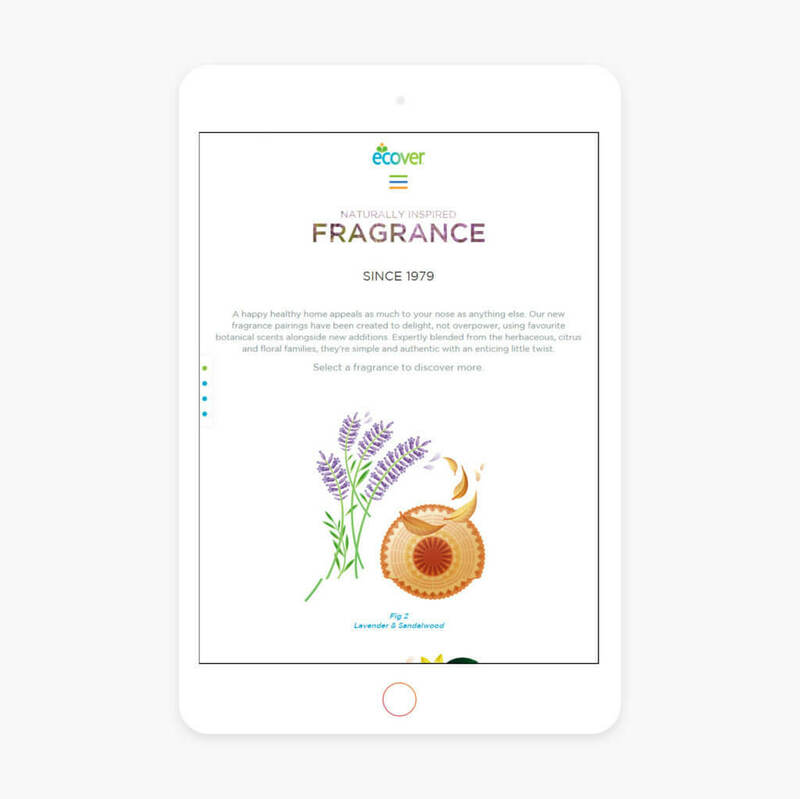 These link through to a separate page for each pairing, describing the properties of the ingredients with description of the scent and the feelings that they invoke.